Every marketing campaign has some errors. Sometimes an entire campaign can go wrong and backfire. And that is all right. Because that is how you learn and stop making the same mistakes in the future. Taking educated risk is a part of business. But doing mistakes that are potentially stupid, doing things that are established as not worth doing, taking risks that are known to flop are perfect signs that you are doing your marketing wrong. In this article, we will discuss ten such signs that will prove that you are doing your marketing wrong. 1) Is your business ready for marketing yet? Is your product ready? Have you got feedback from your customers, are there still bugs in the system. Perhaps your website is not ready; you don’t have an email system setup. A marketing campaign costs a lot. If, due to technical issues the ROI of your marketing campaign suffers then it is a sign that you are doing your marketing wrong. 2) Do you have a marketing plan? Failing to plan is planning to fail. Without making a plan and a strategy with clearly defined goals, a marketing plan can go down the drain along with a bucket full of money. 3) Are you tracking your results? Surely with tools like Google analytics, checking conversions and goals is pretty easy. If you are diving traffic to a landing page, you must check your conversions and leads. Stats are important, that is how you find out what is working and what isn’t. Sometimes when there is a marketing budget at hand, we forget the basics. PPC, paid promotions, media coverage etc. can be overwhelming and we might lose focus on the organic traffic which is the best and yet free. We need to remind ourselves that free channels of marketing such as organic search is equally important and not ranking for your key terms can be really bad for a business. Press release is an important part of marketing. While most people leave press release for announcements only, they forget that press release is the best marketing tool out there. A well crafted and news worthy topic for a press release can work wonders. It is a highway to reach the mainstream media. If all goes well, a press release can instantly make a brand out of a company. As a marketer, catching leads is important. But what you do next with these leads is equally important. With so much going on the internet every day, someone who had registered in your email list will have little idea of why they got an email from you, if you don’t send them an auto-responder series almost immediately. Email marketing is a tricky thing, works like a charm when done correctly. The idea here is to keep the leads hot by sending them some auto-responder emails. If you fail to do so and suddenly one day you decide to send them an email. Most of them will mark you as spam as soon as they get your email. If you hire people in the US there will be an hourly cost of it. This hourly cost is mostly pretty high if you compare it with the monthly fees of a third world country employee. What you pay for an hour to someone from the US can be used to hire for a month in a developing country. Sure from the looks of it, outsourcing seems like a great idea. But unfortunately there are quite a few downsides of it. Primarily, it is a distance that you cannot make in the real world – your employee is just that, virtual. You have less control over him and he has more chances of messing things up. Then there is the language barrier which bothers communication a bit. This is 2014 now and yet some of the old SEO tricks lingers. It is time to give up on the seo methods that does not work. Chasing backlinks no longer helps. It will only bring more issues and penalties rather than any benefit. Guest Blogging for example still works. Even for building links, but surely that is not the only reason why guest blogging is done. Similarly, some other methods like press release, HARO, infographics or widget and template sponsoring still works. If something is working for you in terms of marketing, then make sure to do more of it. This is why checking results and analyzing every step is important. If you fail to stop marketing campaigns that does not works and boost campaigns that works then you are doing your marketing wrong. 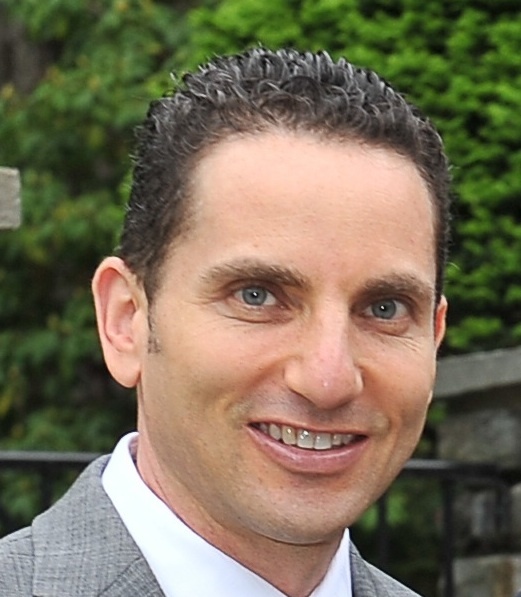 Brian Newmark is an Internationally respected Content Marketing sharpshooter, Brand Management Guru, Marketing and PR Genius, Social Media Master, Porsche Fanatic and all around great guy. Brian lives in Villanova, PA which is a suburb of Philadelphia. An instructive post. People to really know who they want to reach and why or else, they’ll have no way to know what they’re trying to achieve. People need to hear this and have it drilled in their brains..
Its contain lots of information and tips I need. As a newer its very helpful for me to understand and work with it. I specially say one thing , I had fun reading this and many great insights here. I will share this information with my friends and they will certainly love to read this. This is a very good post, I am glad, I came across it especially at a time when I am myself struggling to gain respectable traffic for my website. I was never interested on Seo, but i guess, I cannot escape its effect so, i have started learning it. Keyword research is one aspect that I was completely unaware up till now but I am slowly trying to get in grip with it. This is a must read post for all of those who are looking for ways to improve traffic on their websites. Well done! Very informative post, people now a day’s focuses on profit and tends to forget how to get their profit. If you want to be successful in your business you should be updated in tax news. Congratulations to a brilliant effort in publishing your article. One can be more informative as this. There are many things I can know only after reading your wonderful article.